Previously, we discussed the most common kitchen blunders and how to avoid them. 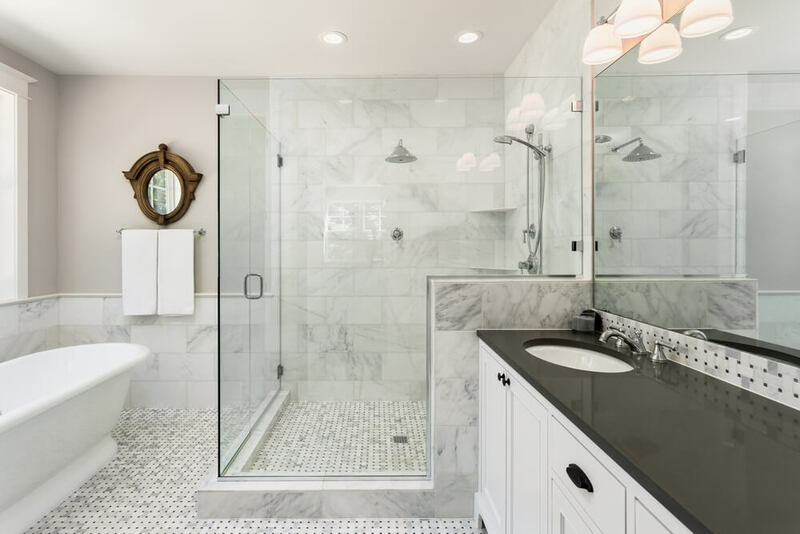 In this blog, we’ll focus on huge bathroom renovation mistakes that most renovators experience—until now. Continue reading in order to learn how to successfully remodel your bathroom with fewer errors. Crafting the budget of a bathroom remodel is challenging. You start with a decent amount of cash, created a list of the things for your new bathroom, and went shopping. This is the point when your needs battle with your wants. Always giving in to the latter results in one thing: blowing the budget. The best you can do: Do something that enables you to stretch your finances. Allocate a contingency that’s at least 10% of the entire budget. Before you go shopping, research on the best fixtures, tiles, wall material, decor, and plumbing available in your area. Make a list of those things and shop for them one by one. In the event that you’re running short, learn to compromise. Sacrifice or skimp on several items in order to splurge on the ticket pieces. Don’t DIY the plumbing and tiling, especially if you’re not confident with your skills to do it. The dodgy DIYing often results in unexpected costs. Expert tip: Remodelling the bathroom is expensive and while retrofitting the space is more budget-friendly. Know what kind of construction project you need. To save money on construction, most homeowners prefer to be hands-on with the project management. This is a challenge particularly to people who don’t have the knowledge on how to manage an ongoing construction project. Delays, miscommunication, and other mayhem might happen. The best thing that you can do: If you’re planning to manage the construction phase yourself, create a timeline and a checklist. Make sure that deliveries are done on time. Follow the schedule you created and adjust accordingly if something happened. Make time for this project. Lead everyone in the construction team. As the homeowner, you are the boss. Some people still fall into the trap of impulse purchases. It’s common for people to buy something that is aesthetically pleasing to their eyes immediately, without checking if they can really use the item or not. For example, buying trendy bath fittings, and tapware without buying the fixture nor checking the plumbings at home. Just think of the disaster it might cause you during installation day. Think of the money that might go to waste before purchasing an item you are unsure of. The best thing you can do: Buy items from largest to smallest. It is what we recommend doing all the time. Your chosen bath and vanity dictates the tapware, basins, and other accessories. Remember that order and you’ll avoid installation mishaps. Your new bathroom won’t last for more than a decade if you settle for less. Don’t fall for cheap bathroom fixtures. 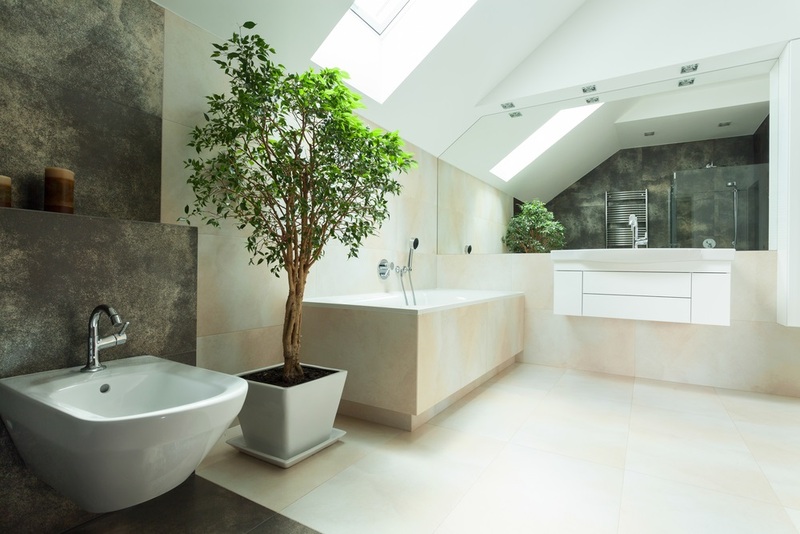 The moisture from the bathroom might cause cracking and chipping surfaces. Also, avoid buying bath fixtures that don’t fit your space. 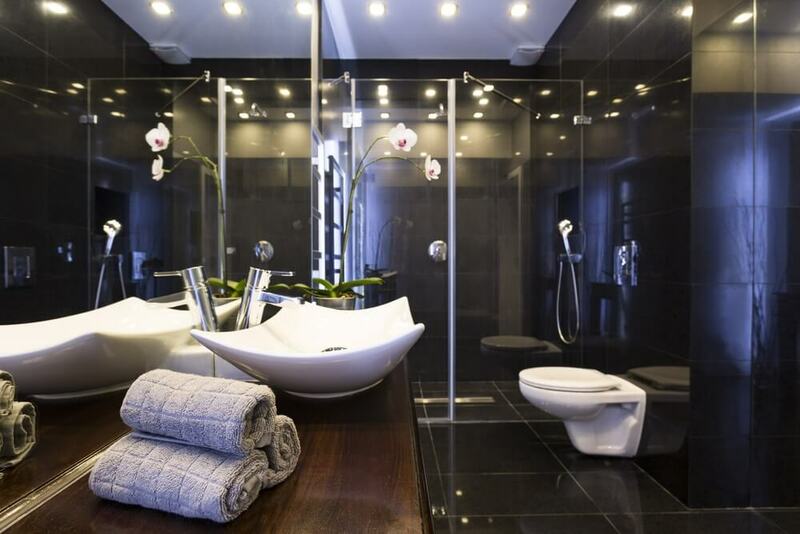 If you have a small bathroom, go for slimmer fixtures. Maximise your space if you have a spacious one. The best thing that you can do: Prioritise quality and practicality. By that, we mean buying high-rated bathroom fixtures. If you want to get these items for a lower cost, buy from an outlet on sale. We also want you to think of ergonomics. Plan where you’re going to put the shower, vanity, toilet, drain, towel rails, down to the toilet paper roller. Design the bathroom not only for the eyes but as a total experience. 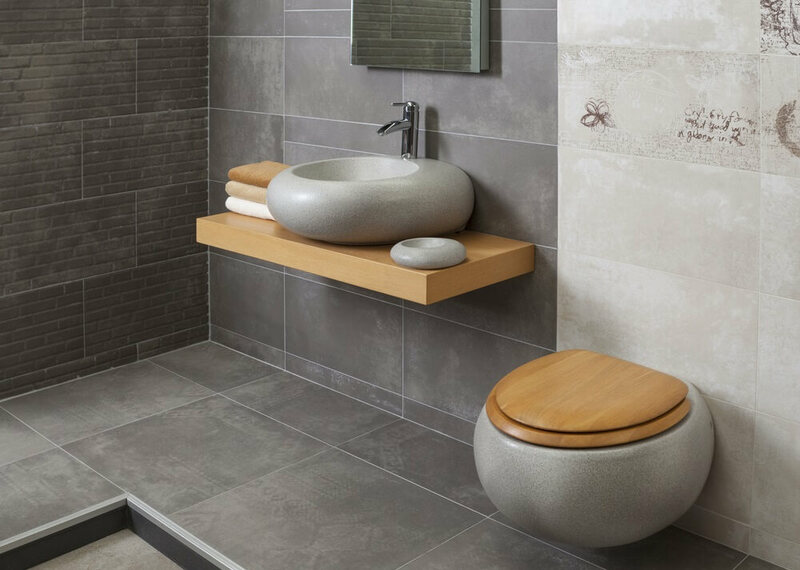 The tile grout is one of the most undiscussed details in the bathroom, yet it can deliver so much impact! If you use a grout which contrasts with the tiles, you will accentuate the tile design. Do it if you’re planning to use unique tile shapes and patterns. If you use the grout with the same colour as the tile, you will create a seamless bathroom look. This is perfect when you’re planning to use square tiles. The best thing you can do: Explore the power of the tiles. There is more to white, black, grey, cream, or brown. Go bold with other colours. Don’t worry about the grout because it is available in a wide variety of colours. Some homeowners implement too many patterns and focal points in the bathroom. The elements compete and cancel each other out in the space. This result gives you a cluttered, overwhelming feel—the opposite of the pampering experience which you should feel. The best thing you can do: Decide on one focal point. 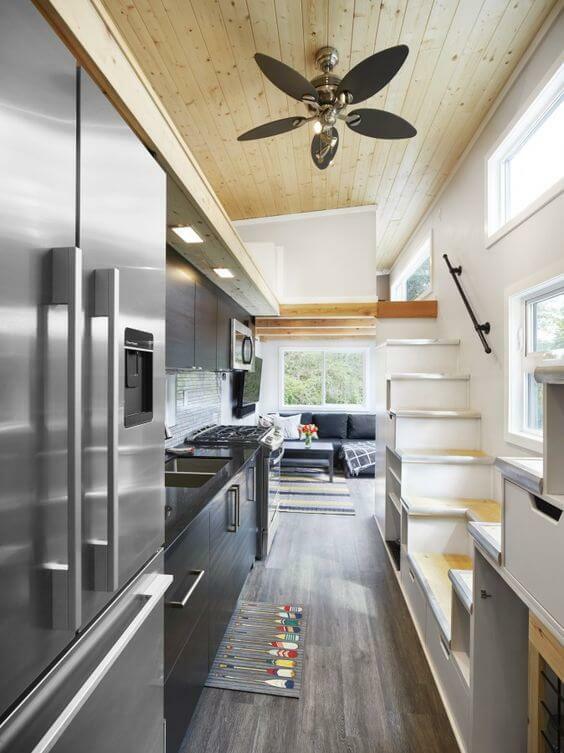 One standard feature is enough to elevate the entire space. It can be a featured wall, floor, vanity, bench top, or a pendant lamp. Everything around it should relate and work with it in the design. Avoid a badly designed bathroom. Hire our Sydney architects.